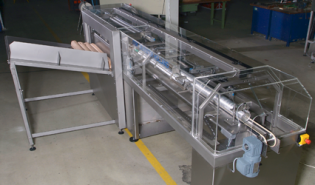 Medium speed end-unwrapping Solutions - CSW machinery B.V.
An automatic can-end unwrapping unit for low capacity lines suitable for all beverage easy open ends as well as for the Food industry, capable of unwrapping 2 roll-ends per minute. 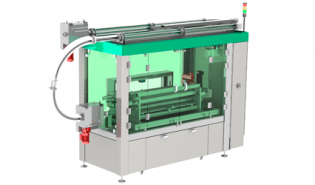 Single lane automatic can-end unwrapping unit, capable of unwrapping three (3) roll-ends per minute wit a capacity of 90,000 ends per hour. 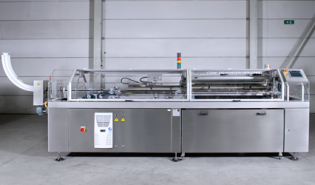 The CSW Multifeeder-R8 is an Automated Can End Unwrapping and Feeding System for filling lines running up to 90,000 can-ends per hour in combination with resealable ends. 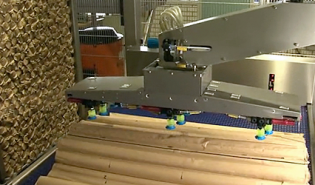 The ergonomically solution for automatic pick up of roll-ends from pallet and feeding these roll ends to our automatic end-unwrapping unit. This enables your operators to execute other tasks.